No nonsense, simple, delicious whey protein. Fuel for your recovery and lean muscle development. 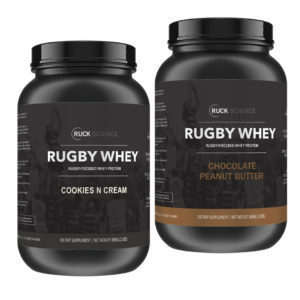 Our sponsorship program means your rugby club gets $2.90 when you buy Rugby Whey. Find your club’s code. The physical demands of rugby will leave players with residual aches, pains and muscle soreness. But the recovery period after a game is also the best possible time to increase lean muscle mass through targeted nutrition. Rugby Whey protein powder is designed to decrease your recovery time and leave you feeling fully recovered after rugby games. 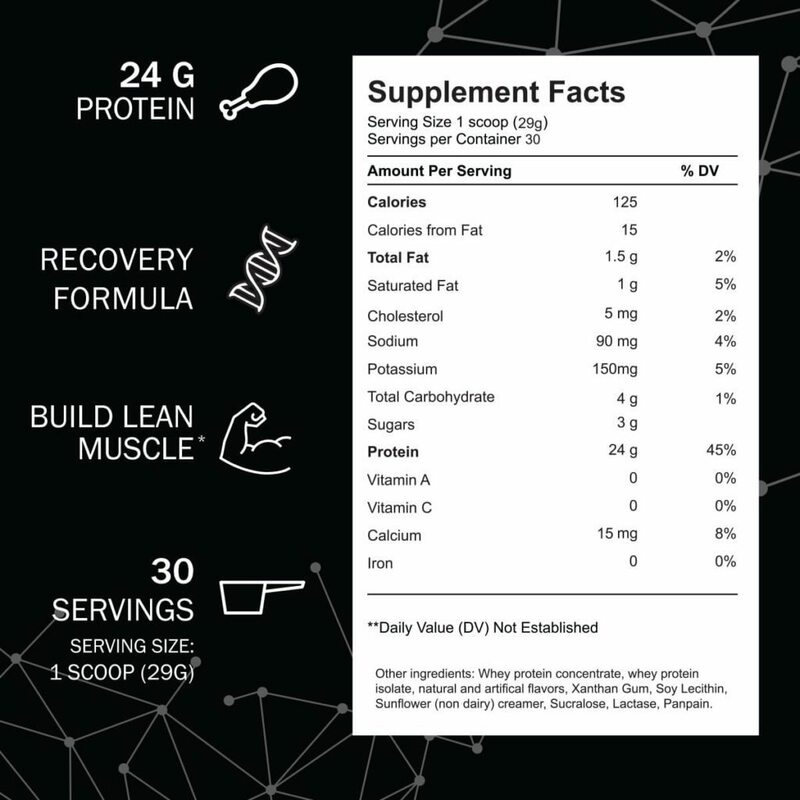 We recommend taking a single scoop of Rugby Whey whenever you’re recovering from a rugby game or training session. PRO TIP: if you’re in a bulking phase, set a 2am alarm and have a scoop with 12 oz of water. This is our #1 diet tip for adding muscle. Our custom whey protein powder is designed to decrease your recovery time and leave you feeling fully recovered after rugby games. Repair muscle damage, recover from weight training and build lean muscle with the only whey protein made for ruggers. There’s no bad time to use whey protein. But on Tuesday and Thursday, you’re probably best not taking it immediately before rugby training. We suggest keeping it in the car and making a shaker to drink on the drive home. 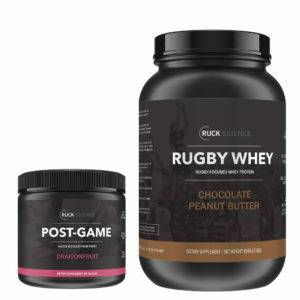 If you’re serious about recovering fast, Rugby Whey should form the basis of your post-game nutrition stack. The 24 hours after a rugby game are the perfect time to build muscle. Take a scoop of whey protein right after your game and again before bed. Whether it’s a rugby game, a gym session or even summer 7s training, you need high-quality fuel for recovery. 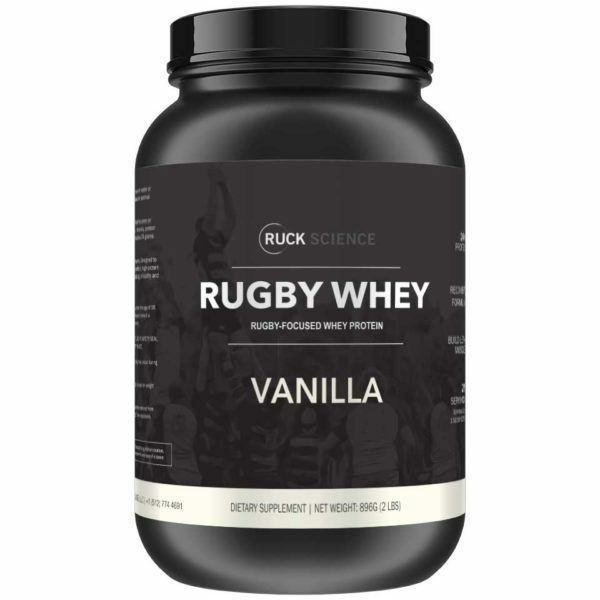 Rugby Whey is an ideal training companion to help boost protein synthesis, reduce recovery time and build lean muscle. As part of our commitment to #keeprugbyclean, we’ve done away with proprietary blends in our supplements. 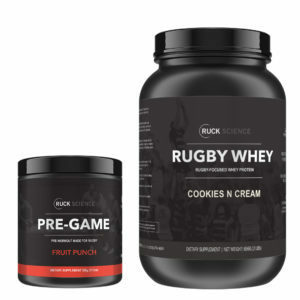 RUGBY WHEY will be one of first Ruck Science formulas certified by the Informed Sport program. Look for their logo, coming in 2019. Probably the best tasting protein powder I’ve ever had. mixes well and isn’t too heavy. adding in some other flavors would be good to see in the future. Great tasting and mixes well. I would like to see a chocolate flavor in the future. Arguably one of the best - few touches and it will be. Protein – protein is overall a great consistency. Its a bit heavy, even with 32 ounces of water, its still a bit heavy – I have trouble finishing a full shake most of the time just due to how heavy one scoop can be. The carb and protein is a great balance, I personally would like to see a higher protein count, by a few grams just so you aren’t doing a scoop in half vs a scoop after workouts. This is without question the best tasting protein powder I have ever used. It’s ridiculous. Somehow they’re squeezing 5-7 more grams of protein per scoop as well. Great product.